For 75 years, Finland's expectant mothers have been given a box by the state that serves as a starter kit for their new baby. It contains clothes, blankets, and other newborn necessities, and the box itself--which is lined with a mattress--can even be used as the child's first bed. It is believed that these baby boxes have helped Finland achieve one of the world's lowest infant mortality rates. Finland's infant mortality rate from 65 deaths for each 1,000 children born in 1938 to 3 deaths per 1,000 births in 2013. You can read the whole story here. I had heard about this and wanted to look into it myself, I thought it was amazing idea which The Baby Box Company took and made it into a experience all mothers could enjoy. The Baby Box Company is a really neat place to visit if your expecting, enjoying or giving a newborn. The Baby Box Company has everything you need to get started with your newborn or the perfect gift for a parent. 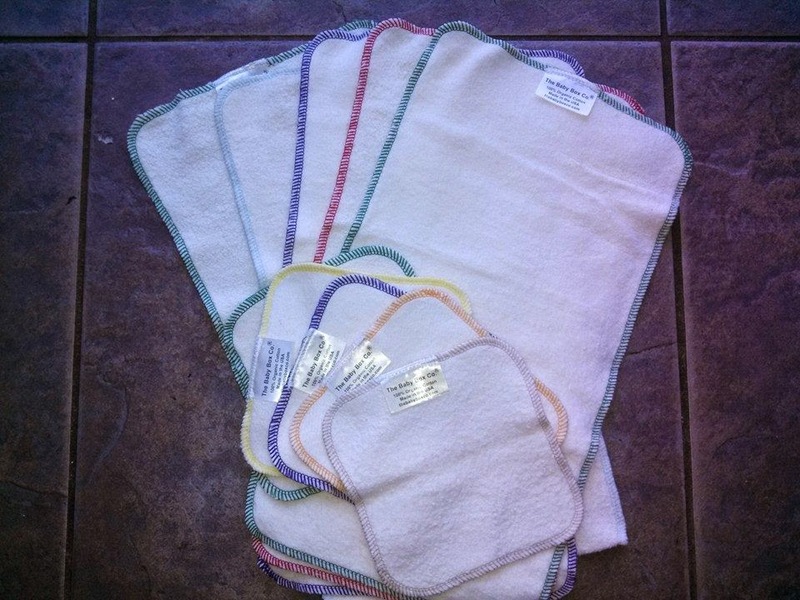 The Baby Box Company sent me some super soft 100% organic cotton fleece wash cloths and burp cloths. They are absorbent, super soft and a breeze to clean. This bundle saves money and makes a fantastic gift...for yourself and others! The set includes 5 wash cloths and 5 burp cloths which are gender neutral so they make for the perfect gift. I washed ours a lot over the past few weeks and they still come out soft as ever. Check out all the great items from The Baby Box Company by visiting their website here, along with checking out the website make sure to like The Baby Box Company on Facebook. Save 15% off your first purchase with code BABYLOVE15.